This patient was introduced by his wife with a specific request: “I want you to fix my husband’s teeth and make him look young again”. The twist was that he travels extensively. 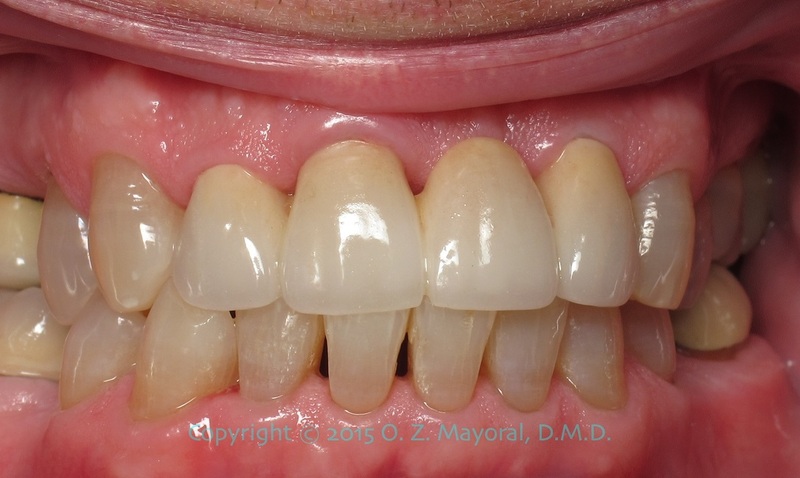 The 52-year-old male presented with an an ill fitting and unsightly porcelain fused to metal bridge on the upper front part of his mouth, extensive cavities on an adjacent tooth, and a failing a gold crown on the a lower molar. 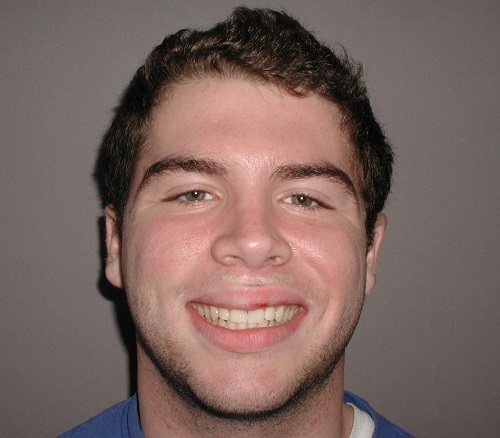 Treatment options included braces, an implant and crown to replace the missing tooth in the front bridge area. Because the patient travels extensively for business, they opted for the quickest way of enhancing his smile. 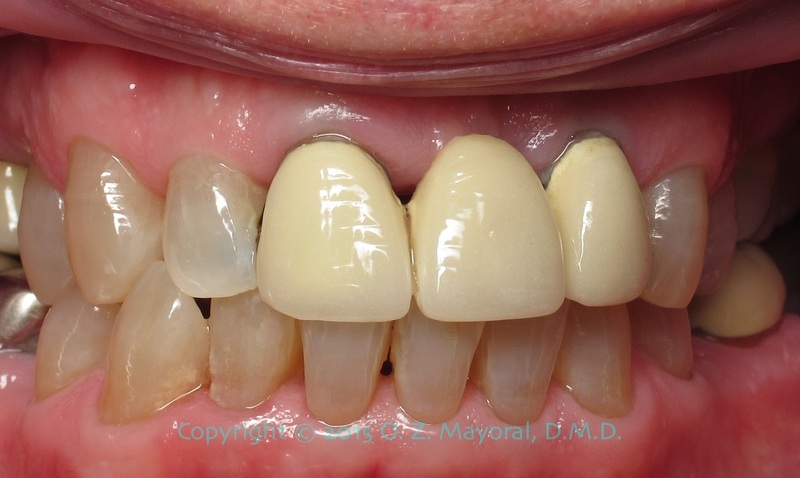 The treatment was completed in two short visits and consisted of replacing the existing bridge with a modern pressed all-ceramic bridge. And in the adjacent lateral incisor. The gold crown in the back was replaced with a very strong zirconia crown to withstand his strong bite. 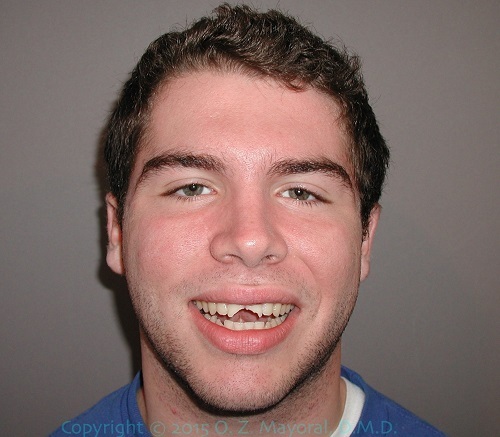 This young man was involved in a sporting accident which resulted in a severe fracture of his front teeth. A simple cosmetic addition process was used under the microscope to repair the teeth. The teeth were restored to their natural appearance in one short visit using direct bonding of composite resin. 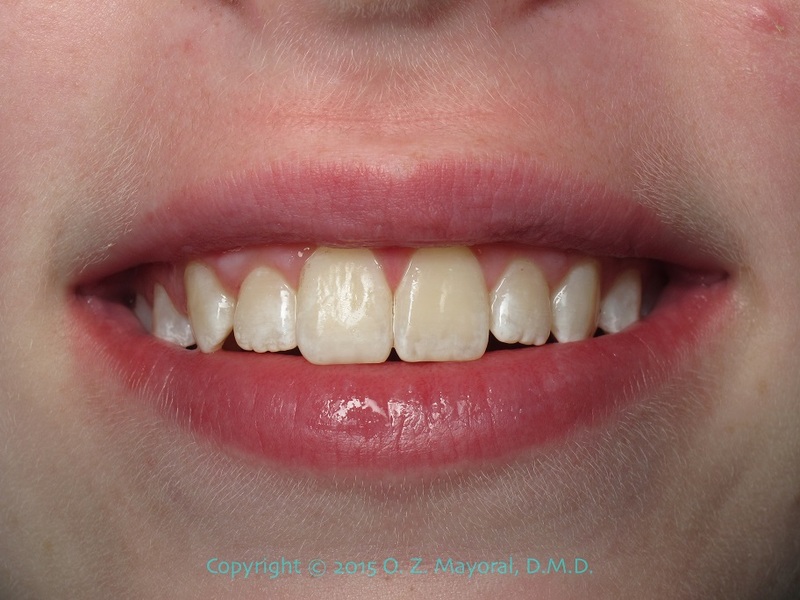 This young lady presented with mamelons on her front teeth. 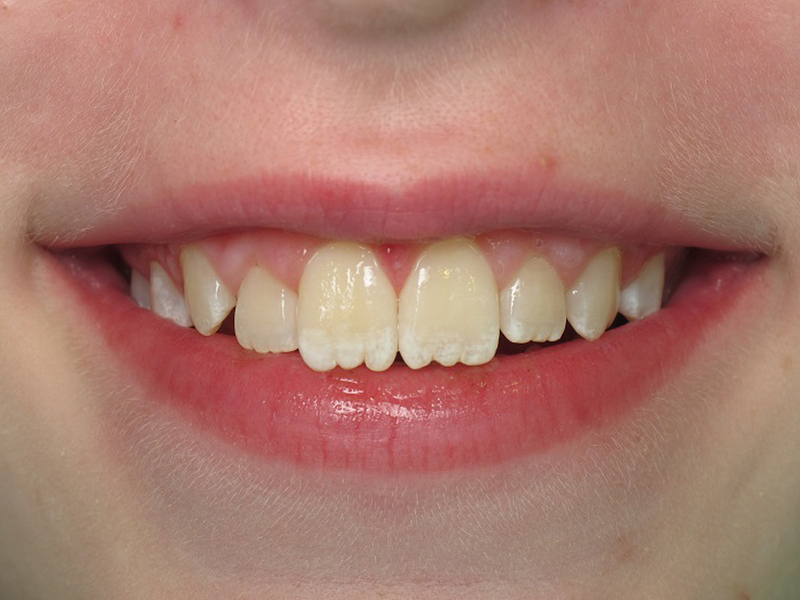 These are natural indentations on permanent teeth that normally wear down as the patient ages. In order to preserve the length of the teeth, direct composite resin bonding was used under the microscope to mask the unsightly indentations. Her father called to say that she had a new spring to her walk and that there was a dramatic positive change in her self confidence. This young lady presented with a complaint that she did not like her appearance. 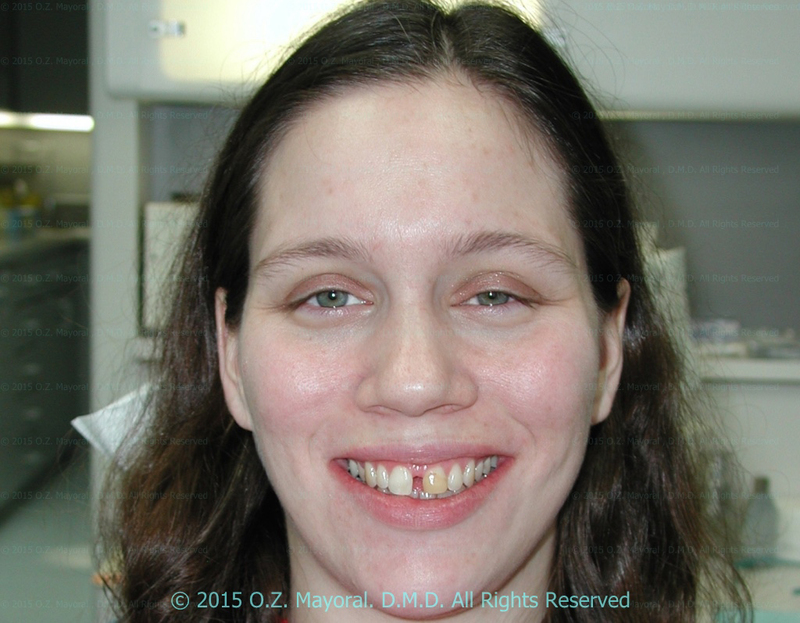 Aside from the large gap between her front teeth, she had an old and stained composite restoration on the upper front tooth. 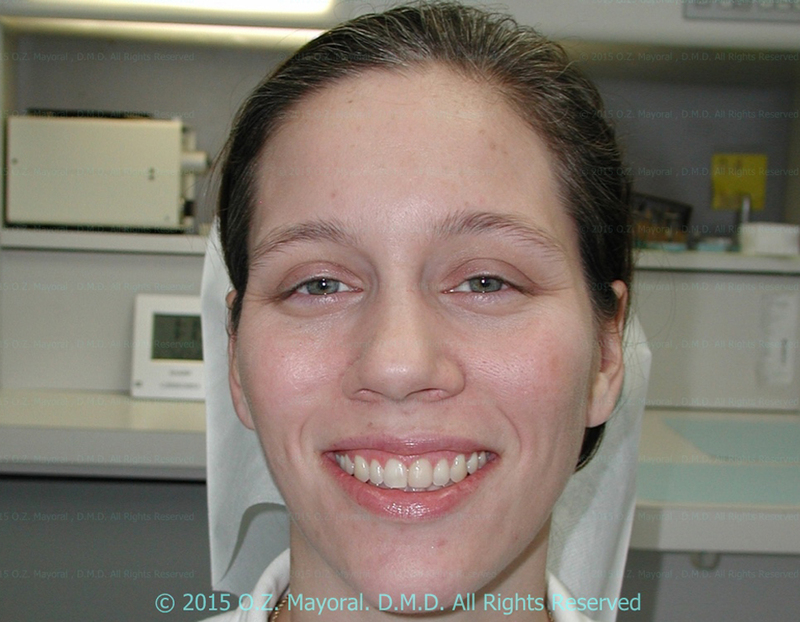 The treatment involved orthodontics and simple cosmetic bonding to replace the restoration.